It’s been a while, but we’re back and we’re looking at the last two weeks of NFL action. Also, I’m sorry to Texans fans because I might have jinxed their season with my last article, so it looks like the “Burgess Curse” might be a thing now. For a while it looked like the Eagles were going to fly away (get it?) in the NFC, but over the last couple weeks we’ve seen that this race might be more competitive than we thought. While Philly has been getting a lot of the attention at 8-1, the Rams, Vikings and Saints are all 7-2, and Cam Newton has the Panthers looking set for another playoff run come January. But after two convincing wins, the Saints are the team grabbing some attention as we near the final stretch of the regular season. New Orleans has had all aspects of their game working lately. On offense, Drew Brees has been his usual self, but the run game has stepped up as of late, with Mark Ingram leading the way. But the biggest factor contributing to their record this season has been the improved play of their defense. After starting the year 0-2, giving up 29 points to the Vikings and 36 points to the Patriots, the Saints entire team has been clicking leading to their 7 game winning streak. The one lapse the defense had came against the Lions, where they gave up 38, but the offense bailed them out, scoring 52. The crazy things about this is that even though they gave up a lot of points, they still managed to pick off Matt Stafford 3 times. In their other 6 games at this point this season, the Saints have given up just 62 points, including a shutout against the Dolphins. While the Saints are thriving, one of their NFC South rivals are struggling. The Atlanta Falcons seem like they’re experiencing a Super Bowl hangover, but without the Super Bowl win. At 5-4, the Falcons find themselves on the outside looking in when it comes to the playoff picture with time starting to run out for them to get their season together. After a 2016 campaign which earned him NFL MVP, Matt Ryan hasn’t been able to recreate that performance so far this year. After 9 games, his 2372 yards rank 8th in the NFL, but with only 13 TD passes, Ryan is tied for 14th in the league and he’s nowhere near on pace to come close to his 38 from last season. But the concerning part is that Ryan has already thrown more interceptions than he did all of last year. With Ryan’s decline in play, it has also impacted other players on the offensive side of the ball. Notably, Julio Jones has also seen his numbers nosedive and subsequently ruin my fantasy team. With 715 yards he ranks 5th in the NFL, but has only 1 touchdown at this point. This reflects the overall decline in the Falcons offensive power, sitting at 15th in scoring with 21.9 points per game, compared to their dominant 34.1 points per game last season. They still have some time to get their season back on track, but with the way things are going right now, it’s very likely that the team that was just over 15 minutes away from a Super Bowl win last season could miss the playoffs entirely this year. In other news, with the 49ers winning their game last week against the Giants, the Browns are now the only team without a win this season. 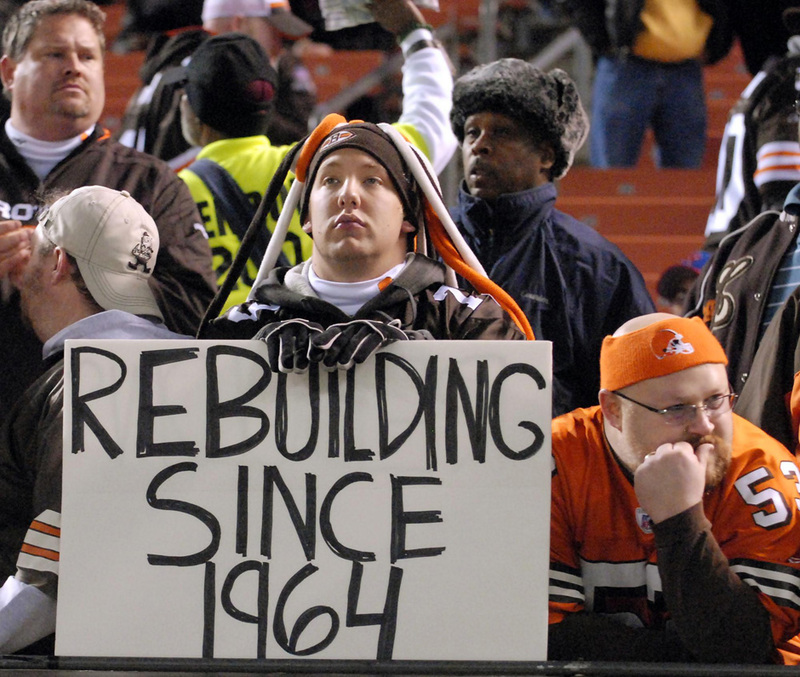 After finishing with a 1-15 record last season, it seemed like the Browns couldn’t get any worse. Yet here we are, with the Browns now 0-9 and with no signs of a win coming anytime soon. After having the 1st overall pick in the NFL Draft last year, it seemed like the Browns were finally getting the pieces they needed to improve, the season was derailed early when the player they used to get that pick, Myles Garrett, was injured in preseason and missed the first 4 games of the year. It’s already time for the Browns to start looking forward to the highlight of their season, the 2018 NFL Draft.